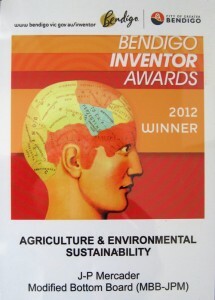 How the Bluebees Board can help protect our food supplies by ensuring pollination! 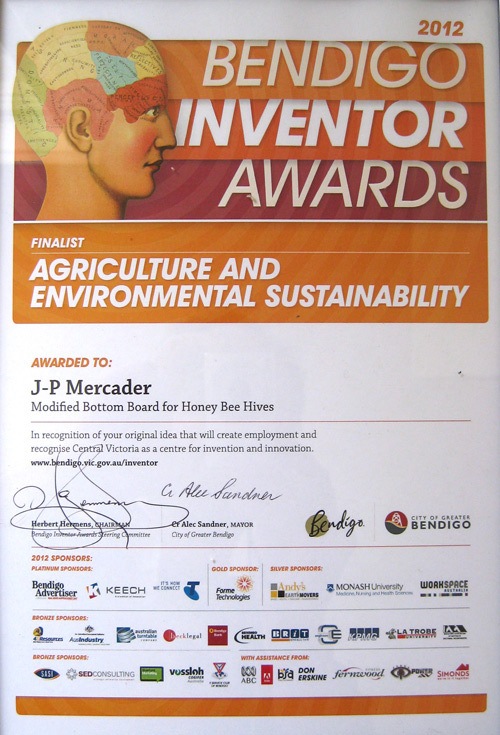 In response to the threat to Australian and global bee populations Jean-Pierre F. Mercader (Victorian Beekeeper and Inventor) has devised a new Bluebees Board to replace the traditional plain bottom board which has been in common use for the past 160 years. 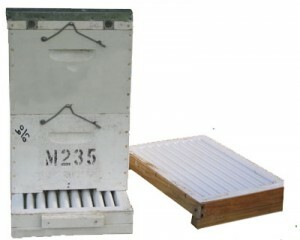 The reason for this invention is a shift in patterns relating to parasites and diseases that can affect and quickly decimate honey bee colonies, even when hive maintenance is carried out thoroughly and on a regular basis. The idea behind the invention is to allow honey bees to self manage the maintenance of the hive and, through their grooming and cleaning practices, greatly improve the health of the colony, without unnecessary human intervention. Healthy honey bees colonies not only produce greater yields of honey but are also essential to the health of our agriculture and thereby ensure the quantity and quality of our long term food supplies. Jean-Pierre Mercader has formally studied beekeeping. 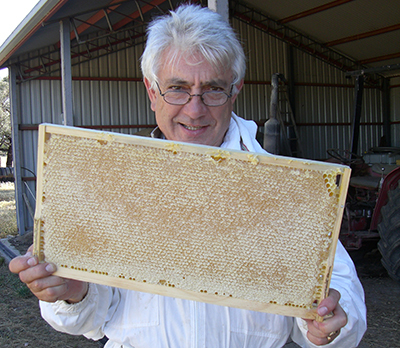 He is a certified beekeeper and is licensed to commercially sell honey. 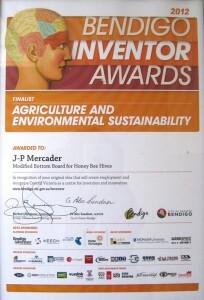 Having previously researched and written papers on other areas of agriculture, he has applied his skills to addressing some of the issues facing the bee keeping industry. 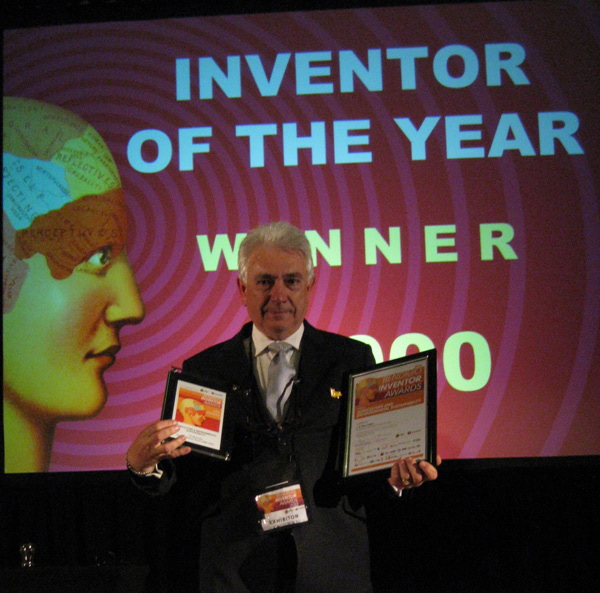 © 2019 The Bluebees Boards are protected world wide by The Australian Federal Government (Design Act 2003) IP Design 14221/2010 & 14222/2010. Extended till November 2020.